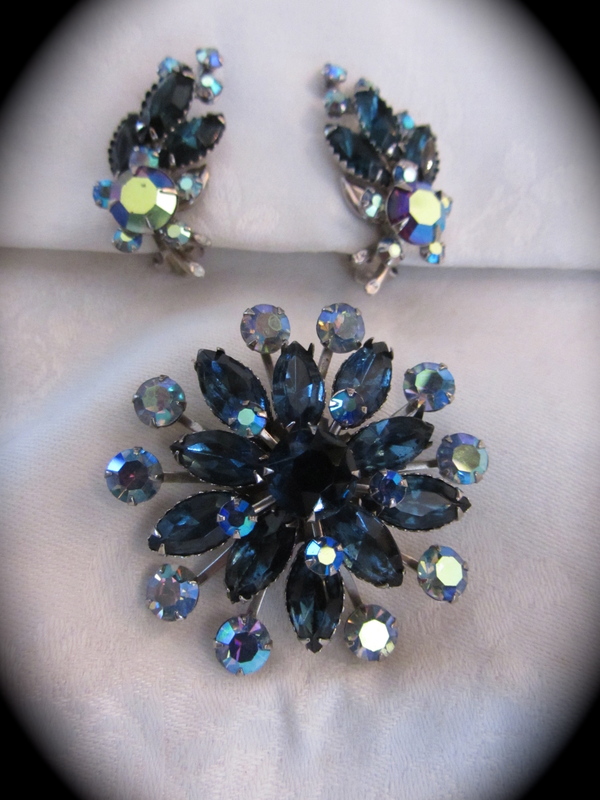 Vintage bold blue brooch and clip style earrings. 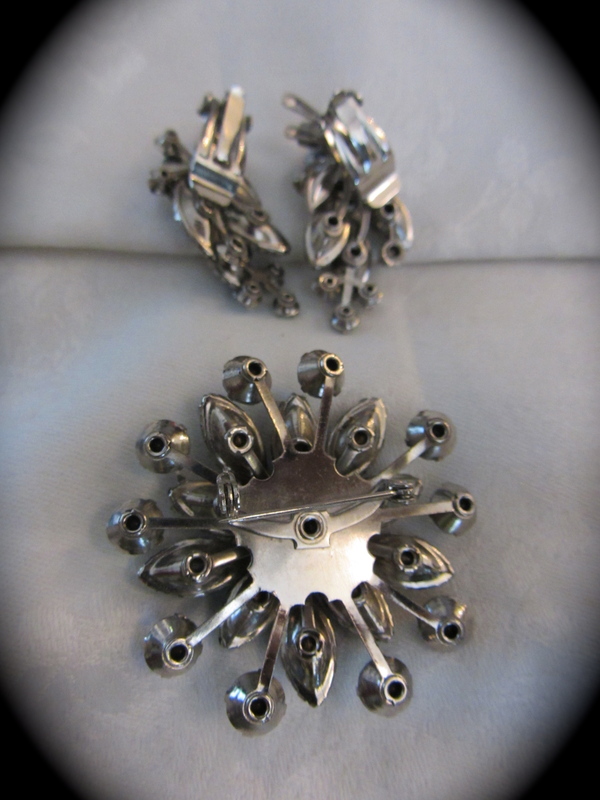 All based in rhodium with the rhinestones being prong set. There is no signature on these lovelies, but they are well made! 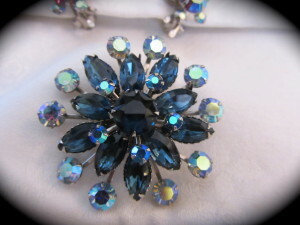 The brooch is shaped like a flower with many petals and then there are aura borealis stones jetting out from that. 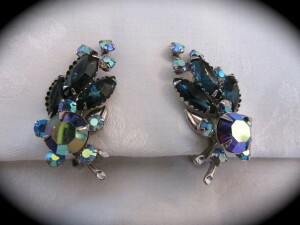 All the stones have many facets and shine brilliantly. This pin measures a little over 2″. The earrings are clips and follow the line of your ear. This means that there is a “left” and “right”. They measures almost 2″.